Exaggerated anorexigenic response to restraint stress in A(y) mice is associated with elevated CRFR2 mRNA expression in the hypothalamus. Bazhan NM, Yakovleva TV, Kazantseva AY, Makarova EN. Physiol Behav. 2013;120:19-25. The effect of urocortin I on the hypothalamic ACTH secretagogues and its impact on the hypothalamic-pituitary-adrenal axis. Bagosi Z, Csabafi K, Palotai M, et al. Neuropeptides. 2014;48(1):15-20. Serotonin 2C receptor antagonism ameliorates novelty-induced hypophagia in aged mice. Nahata M, Muto S, Nakagawa K, et al. Psychoneuroendocrinology. 2013;38(10):2051-64. 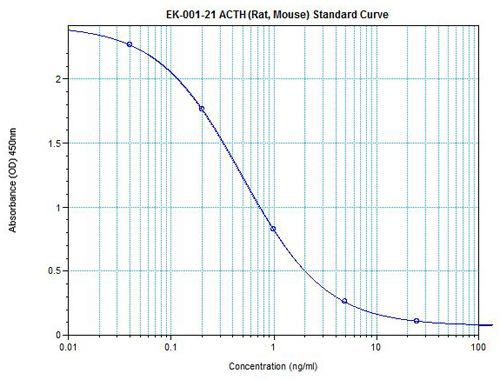 Fasting hyperglycemia in the Goto-Kakizaki rat is dependent on corticosterone: a confounding variable in rodent models of type 2 diabetes. Beddow SA, Samuel VT. Dis Model Mech. 2012;5(5):681-5. Suppression of the HPA axis during extrahepatic biliary obstruction induces cholangiocyte proliferation in the rat. Quinn M, Ueno Y, Pae HY, et al. Am J Physiol Gastrointest Liver Physiol. 2012;302(1):G182-93. Yoshii T, Sakamoto H, Kawasaki M, et al. Neuroscience. 2008;156(3):466-74. Dietary sodium manipulation during critical periods in development sensitize adult offspring to amphetamines. Mcbride SM, Culver B, Flynn FW. Am J Physiol Regul Integr Comp Physiol. 2008;295(3):R899-905. Aquaporin 1 is important for maintaining secretory granule biogenesis in endocrine cells. Arnaoutova I, Cawley NX, Patel N, Kim T, Rathod T, Loh YP. Mol Endocrinol. 2008;22(8):1924-34. Effect of chronic stress on gastric emptying and plasma ghrelin levels in rats. Ochi M, Tominaga K, Tanaka F, et al. Life Sci. 2008;82(15-16):862-8. Neither intravenous nor intracerebroventricular administration of obestatin affects the secretion of GH, PRL, TSH and ACTH in rats. Yamamoto D, Ikeshita N, Daito R, et al. Regul Pept. 2007;138(2-3):141-4. Otawa M, Arai H, Atomi Y. Life Sci. 2007;80(8):725-31. Regulation of adrenal glucocorticoid synthesis by interleukin-10: a preponderance of IL-10 receptor in the adrenal zona fasciculata. Koldzic-zivanovic N, Tu H, Juelich TL, et al. Brain Behav Immun. 2006;20(5):460-8. Up-regulation of the expression of cocaine and amphetamine-regulated transcript peptide by electroacupuncture in the arcuate nucleus of diet-induced obese rats. Tian DR, Li XD, Wang F, et al. Neurosci Lett. 2005;383(1-2):17-21. Alterations in stress-associated behaviors and neurochemical markers in adult rats after neonatal short-lasting local inflammatory insult. Anseloni VC, He F, Novikova SI, et al. Neuroscience. 2005;131(3):635-45. Jochem J. Inflamm Res. 2004;53(7):269-76.